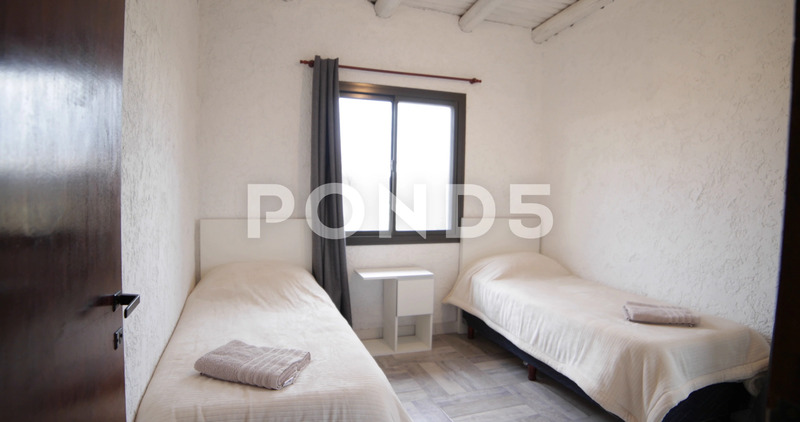 Description: Modern white room with two single beds, towel prepared over the beds. Slow traveling moving around the room. Home decortaion.